According to the United Nations, violence in Syria's northwest has displaced more than 30,000 people this month alone, warning that a looming assault could create the century's "worst humanitarian catastrophe". More than half of Idlib is held by Hayat Tahrir al-Sham (HTS), an alliance led by Syria's former Al-Qaeda affiliate, while most of the rest is held by rival rebels. 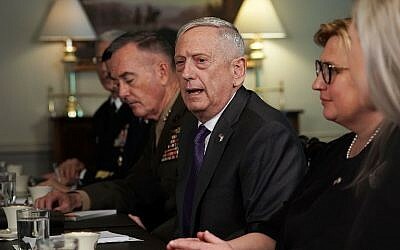 In another show of force, the Pentagon launched a surprise exercise in southern Syria on Friday after Russian Federation threatened military action in an area of Syria where USA troops are located. The three countries had failed to reach an agreement for a ceasefire, however, prompting Sweden and other nations to again warn of a "humanitarian catastrophe" should the Syria government, backed by Russian Federation, wage a military offensive on Idlib, where millions are at risk. Saoud said years of war had already forced them to flee many times before, first from their hometown in Hama province, then to live as refugees in neighboring Jordan. Turkey, fearing an influx of refugees in the event of a major assault, has repeatedly warned against a "massacre" in this last stronghold of the Syrian opposition.